We are a Catholic foundation certified by the French State as promoting the public interest. We've been committed to helping young people in distress for almost 150 years in France and more than 20 years worldwide. Here, in France, we welcome, educate, train and insert more than 23,000 young people in distress. We help them to gain confidence in themselves and and the adult world. We develop the individual talent and personal skills of each young person and help them to find their place both professionally and personally. We also believe that the family structure is central for young people so we work with more than 4.000 families in France. Our goal is to maintain a healthy and constructive relationship between children and their parents. Parents deserve consideration and kindness. It’s often more difficult for parents in distress to bring up their children. We, at Apprentis d’Auteuil, believe it’s essential to help these parents because they know their children. And secondly, if we succeed in rebuilding the confidence of both the children and the parents, rather than taking the place of the parents, we believe that we have found a much better and sustainable solution. Internationally, we work with a network of partners to help more than 20.000 young people and families in distress in over 50 countries throughout the world. Together, we have chosen to unite forces with our partners through field actions, shared expertise and local advocacy work. This partnership is mutually beneficial as it provides the opportunity to question and to improve our working practices. At the same time, we are convinced that our local partners understand better the needs and contexts in their own countries than we do. We believe that every young person has talents and potential that just needs to be discovered. These young people can become active and responsible adult whatever their background. The same applies to the families; with the right support, they can regain confidence and become active parents again. There is a central idea at the heart of our daily mission, whether we are teachers, trainers or administrative staff and that is: trust can save the future. 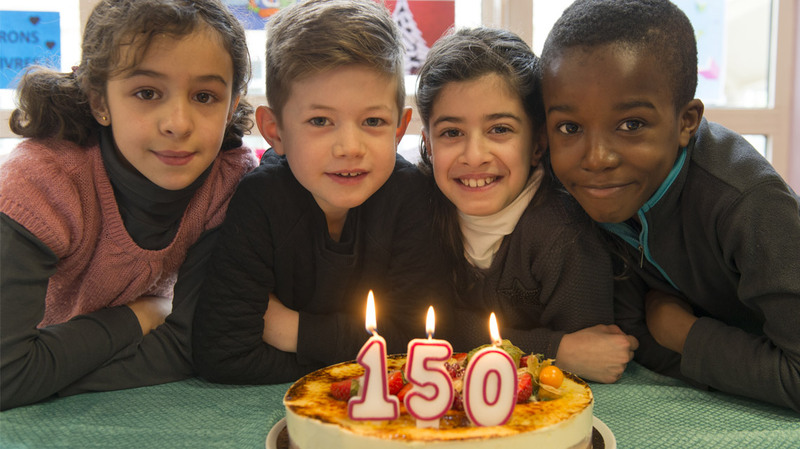 From the first day in 1866 when Abbé Roussel took in that first child from the street, the notion of trust has come down through the years to be woven into the DNA of Apprentis d’Auteuil. Trust lets young people believe in themselves again and also lets them believe in a new future. With this newfound trust they enter into a virtual circle even if the progression is not linear, they have the right to fail and to fail again, we’ll always be there for them.